The U.S. hotel industry continues to remain robust, with 191,832 new rooms under construction as of May. That represents a 16.4% increase compared with May 2016, according to research firm STR’s latest pipeline report. Hoteliers are also investing more in various markets, renovating hotels across the country. Here’s a roundup of some notable openings, renovations and brand announcements. Hilton has opened the first of its new midscale brand. The debut of the first Tru by Hilton Oklahoma City Airport hotel marks another milestone. It is Hilton’s 5,000th hotel. Hilton now has 14 brands. The McLean, Va. Company has 425 signed deals to create new Tru hotels. Ten properties are slated to open this year and 75 next year. Hilton says it is targeting a “value-conscious” customer. The price point will be in the $100 range, depending on the location and time of year. The Tru in Oklahoma City has a 2,880-square foot lobby with spaces for working or lounging. The front desk features a social media wall with real-time content. A 24/7 “eat. & sip.” market offers snacks and refreshments, single-serve wine and beer, and light-meal options and sundries. A complimentary “Top It” breakfast bar has 30 options for sweet and savory dishes, including bagels, donuts, yogurt, granola, hard-boiled eggs, and oatmeal. Rooms have platform beds, 55-inch TVs, eight-foot wide windows, and several outlets for powering devices. There is complimentary Wi-Fi, mobile check-in, room selection and digital key entry to rooms available through the Hilton Honors mobile app. “There are a whole bunch of customers that we haven’t been able to serve that we want to serve,” says Hilton CEO Christopher Nassetta about the market segment Tru is targeting. Wyndham Hotel Group has announced that it will start a new brand—its 19th. The Trademark Hotel Collection will include independent hotels in the upper-midscale-and-above category. Hoteliers who operate three- to four-star properties will be allowed into the collection, provided they meet Wyndham’s standards. In return, the hotels will be able to leverage Wyndham’s scale, distribution systems and loyalty program. Wyndham has a portfolio of 8,000 hotels worldwide. The Wyndham Rewards program has more than 50 million members, who can redeem a free night’s stay for a flat 15,000 points. The hotel is working on 50 possible deals, including existing hotels and new builds. “Soft brands,” as these collections are referred to, have become a popular way for companies to tap into a market of travelers who want to stay at independent hotels. Among other soft brands are Curio by Hilton, the Ascend Collection by Choice Hotels, and Marriott International’s Autograph Collection. Most other collections cater to the luxury hotel market. 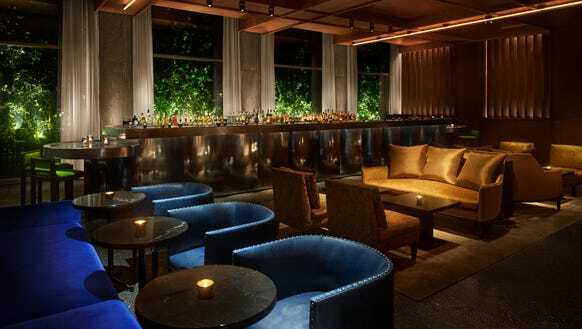 Hotelier Ian Schrager, regarded as a pioneer of the boutique hotel concept, is trying another twist with his new PUBLIC hotel in New York City’s Lower East Side. On the first floor is a boutique and LOUIS—part grocery, part luncheonette, part coffee shop and part market by Jean-Georges Vongerichten. Behind that is PUBLIC Kitchen, also by Vongerichten. The restaurant has a smoker, wood burning oven and wood burning grill. Attached to it is a patio for al fresco dining. A stainless steel escalator with yellow neon lighting leads to the second-floor lobby, where “Advisors” help guests check in via iPads. Guests can either have key cards made or use their smartphones to unlock the room door. 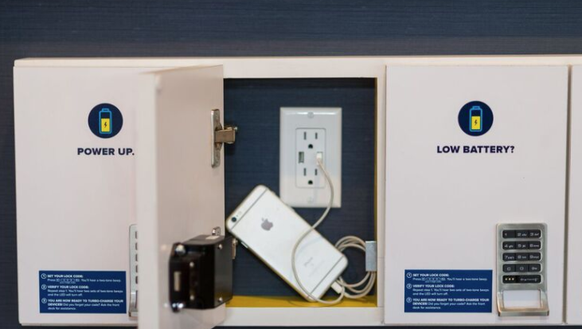 There is free Wi-Fi throughout the building and outlets and charging stations throughout the hotel, including in a second-floor lobby lounge that has areas for both working and socializing. “The idea is for the lobby to be completely activated 24 hours a day,” Schrager says. Schrager, who co-founded the legendary Studio 54 nightclub, made sure there is no shortage of places to drink. There are three bars—Diego, The Roof and Lobby Bar. The Roof has 360-degree unobstructed views of the city. Schrager, who has launched hotel brands such as Morgans Hotel Group and EDITION hotels in his long career, plans to open more PUBLIC hotels. Nashville is known for its art and music scene. Now, it has a hotel that honors its creative side. The 124-room 21c Museum Hotel Nashville has opened in the historic Gray & Dudley Hardware Co., built in 1900. It is the seventh 21c Museum hotel in the USA. All the hotels feature rotating exhibitions, site-specific installations and a roster of cultural programming curated by a museum director. 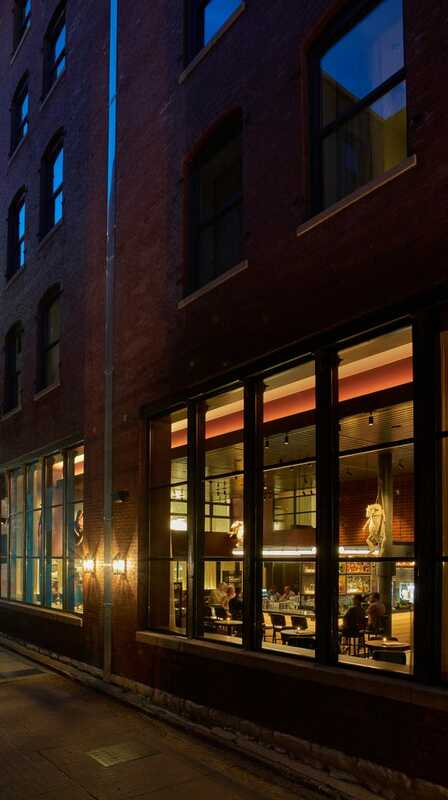 The 21c Museum Hotel Nashville offers 10,500 square feet of contemporary art exhibition space. It is open free of charge to the public, and museum docents give free tours on Wednesday and Fridays at 5 p.m.
“With such a robust and exciting art and music scene, we felt the destination matched perfectly with our brand,” says Steve Wilson, founder and CEO of 21c Museum Hotels. There is art throughout the hotel, including hallways, public restrooms, and guestrooms. The guestrooms also have wood floors, high ceilings, and large windows. The rooftop floor has seven suites, including the 21c Suite overlooking the Cumberland River. The penthouse level 21c Suite includes more than 1,700 square feet of indoor and outdoor space. As an homage to the history of the building, the on-site restaurant is called Gray & Dudley and led by chef Levon Wallace, who has worked at other 21c Museum hotels. The menu has a West Coast flavor, inspired by Wallace’s roots. The Jefferson Hotel, a historic Richmond hotel built in 1895, has completed a three-phase reconstruction, and its new rooms are now even more spacious. The Virginia property once had 262 rooms. Now it has 181, including 15 suites. Rooms now feature entry foyers, dressing areas, marbled baths, walk-in showers, and television screens in vanity mirrors. Public spaces have also been re-done, including the restaurant and lounge, Lemaire. The century-old Rotunda ceiling has been restored. Other public spaces such as the Palm Court lobby have also been revamped with new furnishings. Ballroom spaces, including the Grand Ballroom, Empire Room and Flemish Room, have new color palates, draperies, LED lighting, and carpeting. The hotel is both a AAA Five Diamond and Forbes Five Star award winner for 2017. “This project has allowed us to elevate an already unique travel experience to the next level of luxury,” says Joseph Longo, managing director of the hotel.